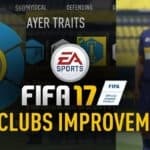 In FIFA 17 there were some glitches that allowed players to get double the max trait points. Ofcourse using such glitches is not allowed when playing in competitive leagues. In FIFA 18 there’s a small glitch that allows you to get 5 star weak foot at a minimal cost. Go to Player Traits -< Shooting and buy for skill points first four abilities in Volleys section, The last one is weak foot ability. Then uncheck the three first ones and the weak foot trait should remain. 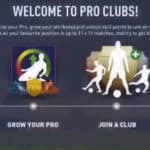 A little glitch in Pro Clubs, but it could be fixed soon by EA. There’s also a very serious glitch that allows your player to get to 99 overall stats. 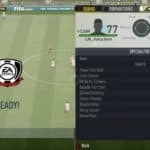 EA hasn’t had it patched for a few months already. 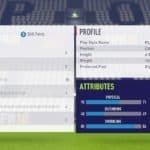 #FixProClubs. If you check the leaderboards on PC or on any console, there’s lots of players using that 99 overall glitch. Such players can’t play in competitive leagues like PRO11 or VFL ofcourse, but they still ruin the fun of the game when playing regular season or cup matches within FIFA 18 itself. If you have encountered any other glitches in FIFA Pro Clubs mode this year – let us know in the comments section below.